I am an International Clairvoyant / Intuitive Tarot Reader with 25 years experience, my readings are available face to face or worldwide via Skype or Face Time or Phone. Tarot cards have been around for centuries, and have been used by psychics, mystics and mediums as a means to gain insight into the possible future. I am guided by intuition and spirit not a book of meanings, I was born into a spiritual family and have spent many years developing my skills as a reader. My role as a reader is to be open and honest and give information that I see & feel. I am a facilitator or a channel if you like, I have worked in many different areas with my spiritual gifts, being a second generation ghost buster or house clearer I was taught this at a young age from my mother. My father was a reader and a healer also and from a young age I was encouraged to use my abilities and not hide them. 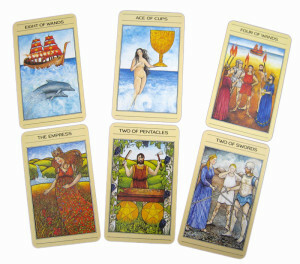 Tarot Cards is how I can best use my gift to help you. Every reader is different, and works in a different way, we all have to find what that way is and how we can best work to be as accurate as possible. I connect with spirit/my guides who also guide the reading for you, I connect with the highest realm with love and light. There are times where messages come through from loved ones past. However, I can never promise your loved ones will come through, that is up to them and not me. Every person is different therefor readings can vary, and can start either in recent past, here and now or future. I ask you to shuffle the cards, this puts your energy into them and is how I can read for you. I understand that sometimes in readings there is sensitive information, I am not here to judge or pass opinion, I will always tell you what I feel and what I see. I am a professional reader with 25 years experience, and as such you can be assured your information remains confidential and private. If there is a specific area in your life where you feel you need some guidance, perhaps your at a crossroads, but you are not sure which road to take, or how to work things out for the best. I am very happy , along with my guides, to give you direction or guidance to help you along your pathway of life. I am an honest reader, who tells you what I see. I am also a professional Hypnotherapist and Healer, and as such have the wonderful ability to listen and understand. When you have for a reading, remember be open as the more energy you can put into the cards, the better the reading you will receive. I have many repeat clients so forward bookings are recommended. 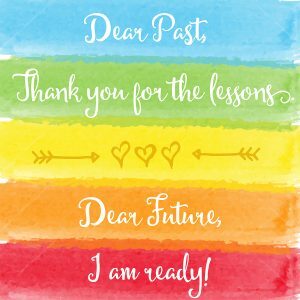 I also offer Spiritual Development groups, I also offer one on one Spiritual Development sessions, also if you would like to learn Tarot I also teach this on a one on one basis, as well as by workshops. Please contact if you are interested. Click here to contact us by email. Skype, Face Time or Phone Readings are available worldwide, please click the appropriate buy now button below and email me to set up a suitable time, I am happy to come back to you with an appointment time in your time zone. If you would like to book a Skype or Phone reading, please contact me. Click here to contact us by email. Davina, thank you for my reading and a huge appreciation for offering me the opportunity to ask questions after receiving my initial reading. I took your advice, and started seeing signs everywhere, I even passed a billboard telling me to get a move on. Thank you for your uplifting and honest reading, business is picking up and I continue to see signs I am on the right road.